Wedding chandeliers full of sparkle and elegance are very affordable when you rent the chandeliers for your wedding or event. 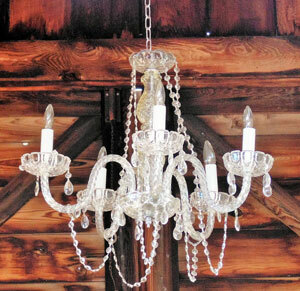 Our crystal chandeliers are very elegant in an outdoor setting or inside. Chandeliers can be used in elegant, rustic, shabby chic, winter wonder and just about any other them. 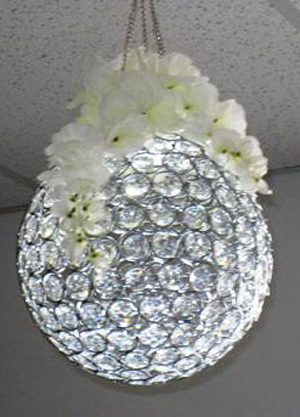 We also can do flower chandeliers and customize the chandelier to your theme.